Cryptocurrency mining, which used to be a “solo” activity, has become so difficult and so expensive that it has been taken over by high-powered “industries” – groups that have a large investment in hardware and can either afford the electricity or have access to really cheap power. It is nearly impossible today for the individual miner to solve the increasingly difficult “puzzles” and earn the token rewards. And even if they could, the cost of the required computational power may no longer be worth it. And there are just no shortcuts to finding a solution (hash) and thus defining a new block to be added to the chain. Add to these issues other things that can go wrong – power outages, network issues, hardware failure – and it is just no longer a profitable venture for individuals. Perhaps the greater value in the entire cryptocurrency craze is not the tokens themselves but the blockchain technology that supports it. There are, in fact, already new things on the line for the blockchain, though most are still in their infancy. We are talking about medical and educational records, patents and copyrights, contracts, traditional financial transactions; any and all things that need to be permanently and immutably recorded. The other huge disruption which is now coming to light is the way in which blockchain technology will benefit AI. These two technologies, when merged, will make data/knowledge mining ultimately “scientific” to the core. It is decentralized: The transactions or information placed in a block are verified by a number of people, not simply placed there by a single authority who can falsify information. It is transparent: All stakeholders in a transaction or a piece of information/data have access to it at all times. It is immutable: Once placed in a block, transactions and information/data cannot be changed. All of the original verifiers would have to collude to do this, and that simply won’t happen. What’s most interesting about this is that now we can have a huge amount of data that is factual and can never be changed. 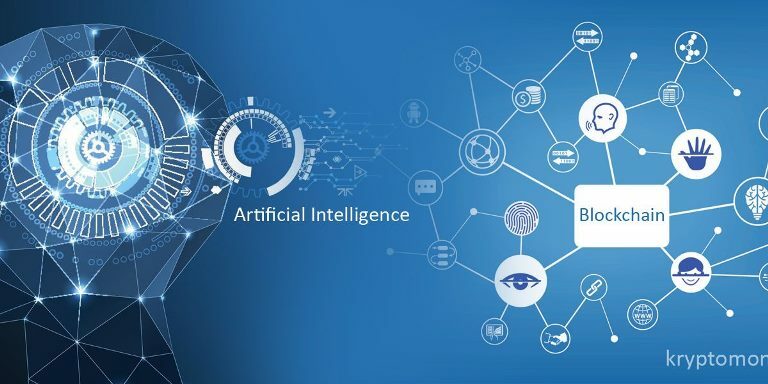 Now, suppose that AI technology is let loose into those blockchains of data to mine for information, to recognize patterns, and make predictions based upon those patterns. Those patterns and those predictions are even more accurate than the knowledge mining that AI conducts today which often uses incorrect, incomplete, or missing information/data. Between blockchain and AI, the fallible human elements are removed. Here are some actual use cases that will point out what the “marriage” of blockchain and AI can do. Knowledge Mining: Startups like Neuromation are now trading synthetic datasets to allow business to train neural networks, paving the way for smarter AIs and affordable knowledge mining for everyone. Smarter Retail. By mining data from blockchains, AI can find correlations that may have been missed through traditional AI operations. Standard AI may have determined, for example, that consumer transactions for roofing and guttering materials are numerous in the spring. A big box home improvement retailer will then increase stock in those materials. Blockchain may point out that ladders are an additional high demand item that correlate with those purchases of roofing and guttering materials. Citizenship and immigration. Blockchain technology can be used, and is already somewhat in use, to verify citizenship in underdeveloped regions of the world, where traditional birth records are often missing. Likewise, it can track movements of people and groups of people, as well as the percentage of terrorist activities or health issues, based upon those movements. When AI can mine this data, predictions can be made that help governments make decisions about immigration policies and health initiatives. Blockchain technology provides accurate information and data that has been verified by multiple people before it is entered into a block. It is publicly available and cannot be changed. It is far more accurate than information and data that is provided in unverified platforms which can be rife with errors and incompleteness. Blockchain provides the most reliable source of information and knowledge that can be used by retailers, governments, businesses, financial institutions, non-profits, health and educational organizations, scientific researchers and more to make the most informed decisions .